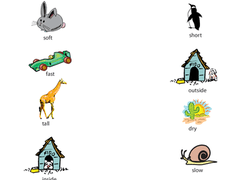 Looking for a worksheet to help your child with developing reading skills? This printable is all about finding opposites. Build reading and writing skills with this beginner's writing worksheet. 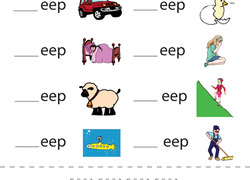 Help your students learn vowels and improve their reading skills with this printable worksheet that focuses short "a" sounds. Looking for a worksheet that practices your kids reading skills? This printable will help him identify antonyms. This worksheet challenges kids' understanding of fiction and nonfiction, which builds a deeper understanding of genre and reading comprehension.